Spyro the Dragon's three biggest adventures soar onto PlayStation 4, completely rebuilt with the latest technology. Spyro the Dragon - the iconic PlayStation platforming hero - is back and looking better than ever. 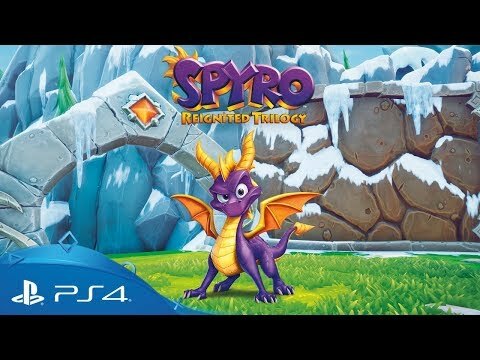 Featuring the same smouldering attitude, Spyro Reignited Trilogy recreates the series' three biggest adventures - Spyro the Dragon, Spyro 2: Ripto's Rage! and Spyro: Year of the Dragon - and cranks up the visuals in stunning HD. Explore a huge game world, face-off against its fiery inhabitants and relive the adventure in fully-remastered glory. Because when there’s a realm that needs saving, there’s only one dragon to call.